Calling all Sonic fans! 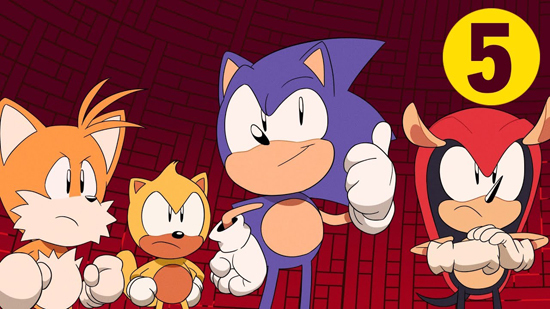 Get ready for final showdown between good and evil as Sonic and Friends join forces in the action-packed climax of SEGA’s five-part animated miniseries, Sonic Mania Adventures. In this episode, the fate of the Chaos Emeralds are at stake, as the decisive battle between Sonic and his evil robotic counterpart, Metal Sonic, is upon us. Sonic, Tails, Mighty and Ray must unite against their supersonic robotic nemesis in order to restore peace to Angel Island. Watch the epic conclusion in the fifth and final installment of Sonic Mania Adventures now! Wondering how we got here? Make sure to check out the new “director’s cut” that includes all five episodes of Sonic Mania Adventures from start to finish!